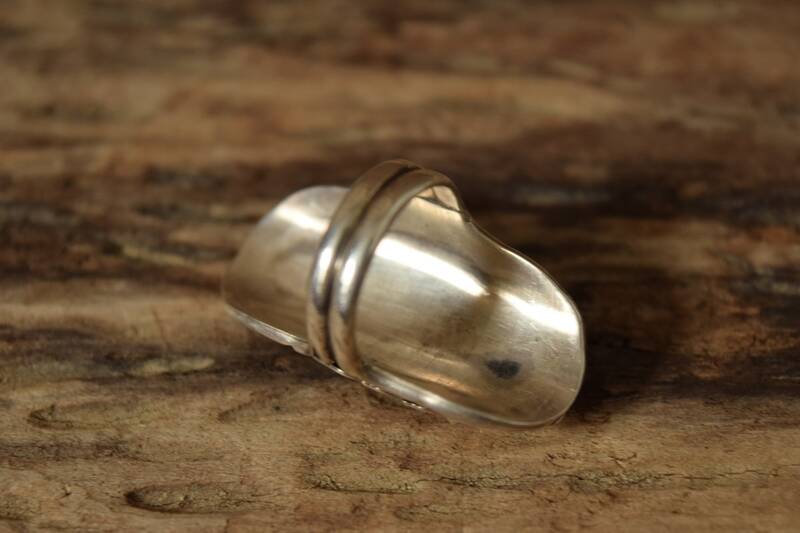 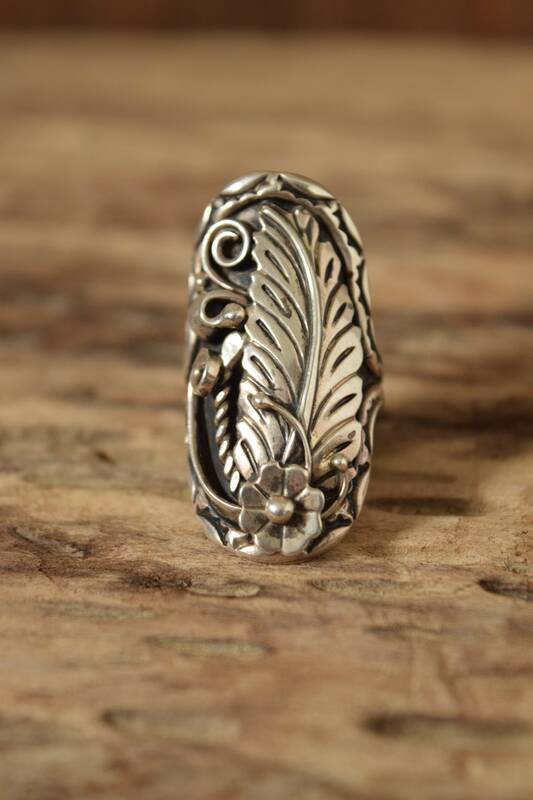 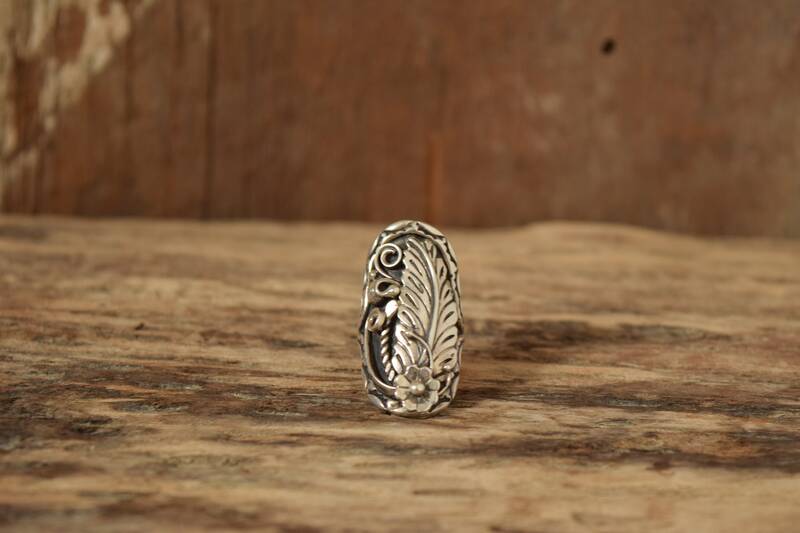 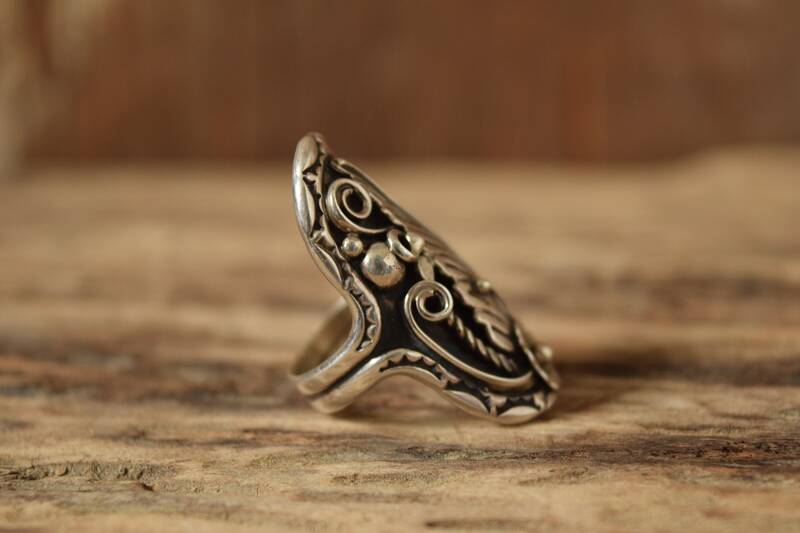 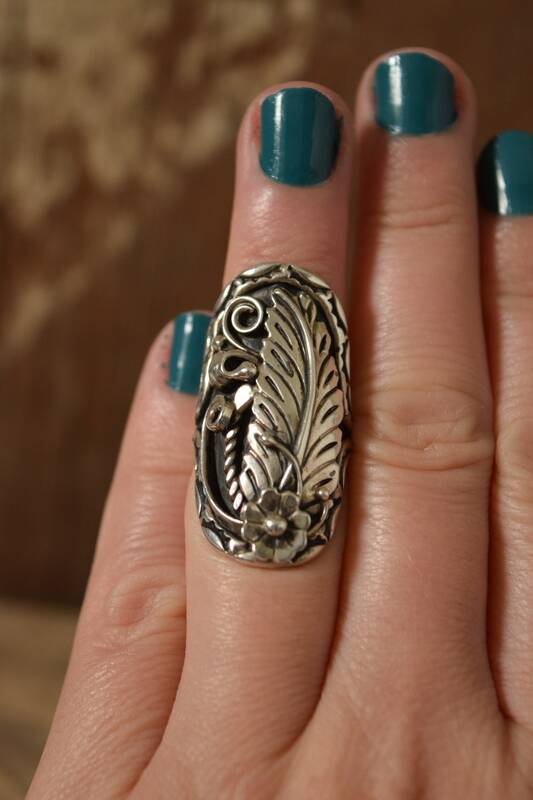 The classic silver work in this Native ring is perfect for spring, summer or fall. 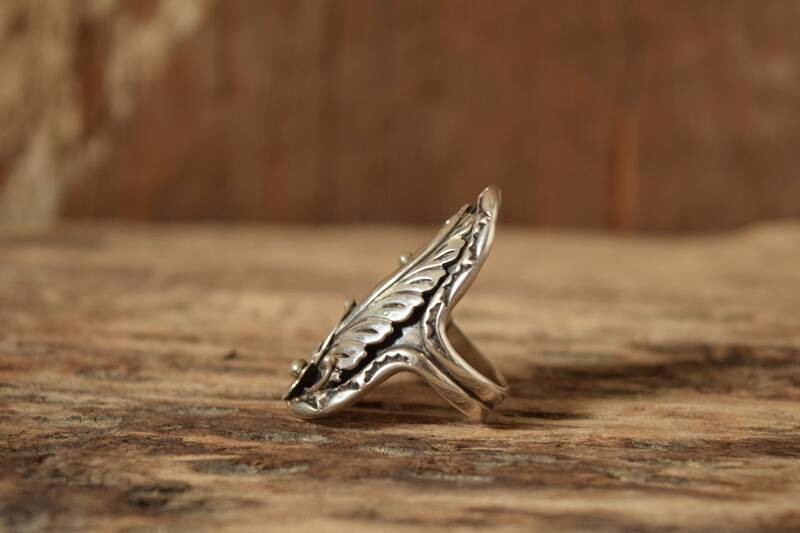 Perfect for pinkies or slender fingers, this size 5.5 ring is easy to style and charming enough to wear both casually or dressed up. 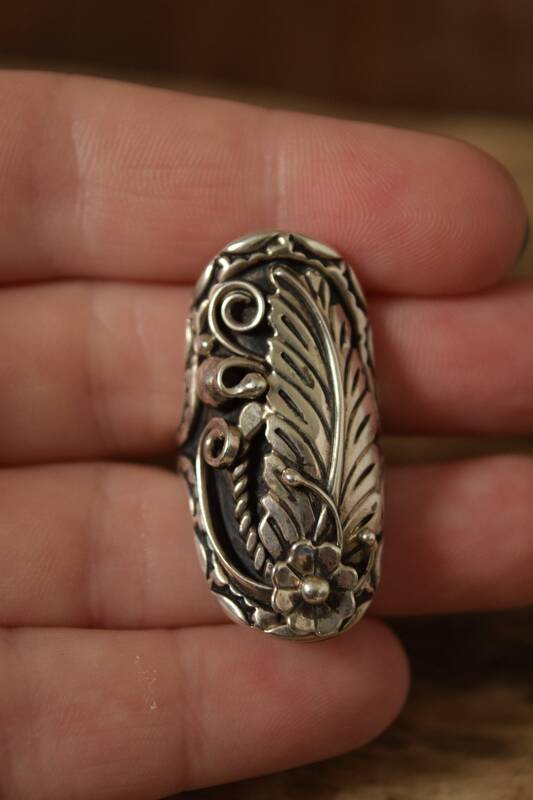 Great previously owned condition. 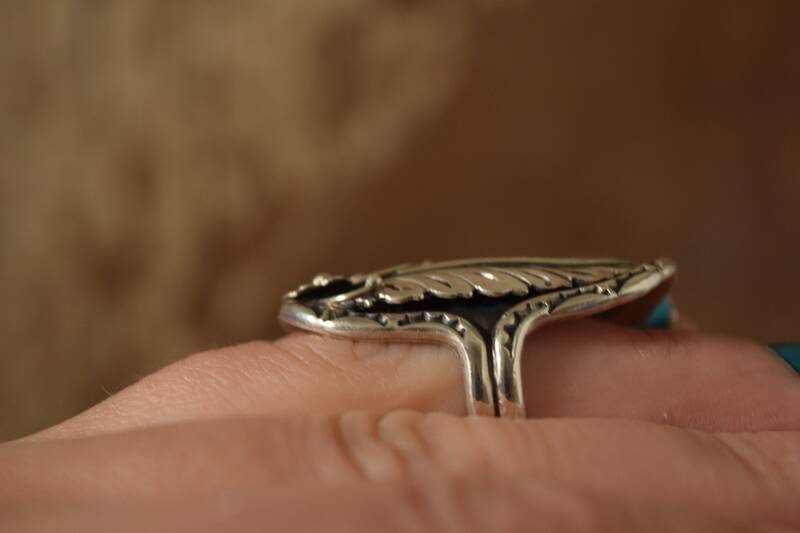 No major damage, light surface wear from age and use.